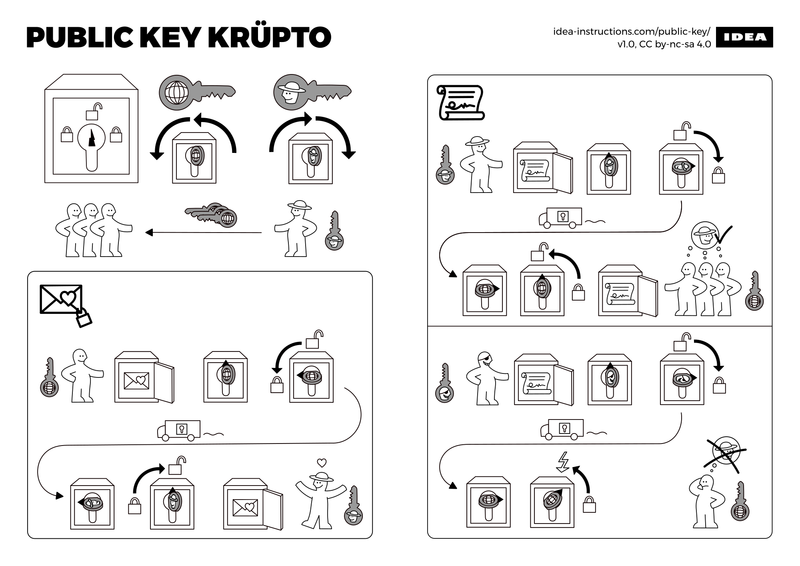 "Idea-instructions" bills itself as "An ongoing series of nonverbal algorithm assembly instructions", with a half-dozen illustrations of popular computer science concepts covered to date; the latest covers Public-Key Crypto, one of the most important and elusive concepts from modern crypto. Public-key cryptography can be used for (at least) two purposes: A person’s public key can be used to send encrypted messages to the keys’ owner. And that person can use their private key to create digital signatures, demonstrating the authenticity of a message.